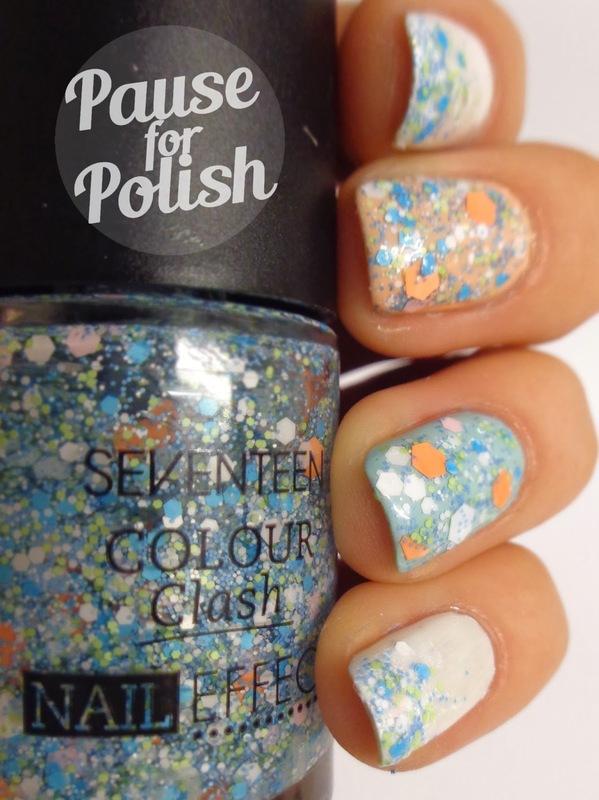 Pause For Polish: New Seventeen - Colour Clash Effect - Tropical Punch! 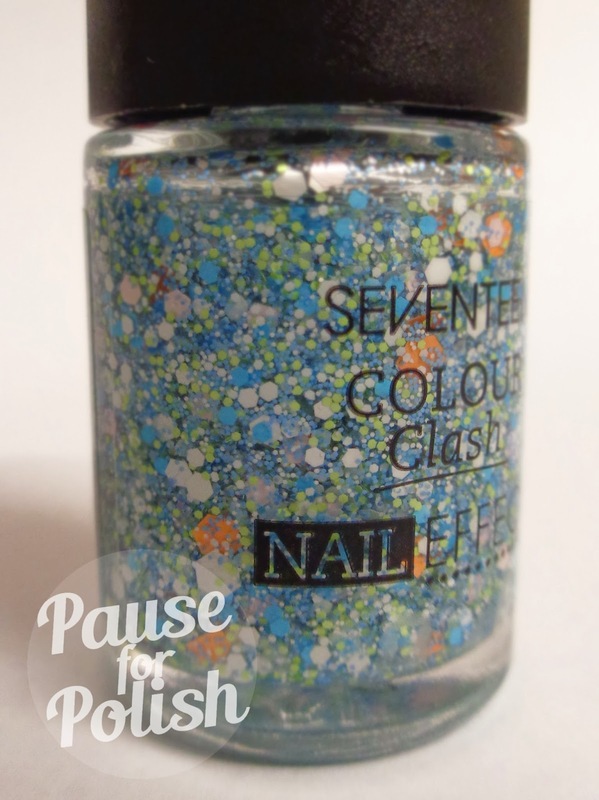 New Seventeen - Colour Clash Effect - Tropical Punch! Any way, I had to pick up only one of them as I already had my hands full of Barry M products, so I chose the blue coloured glitter. The other shade is coral based with large blue flecks, essentially the opposite of this one. 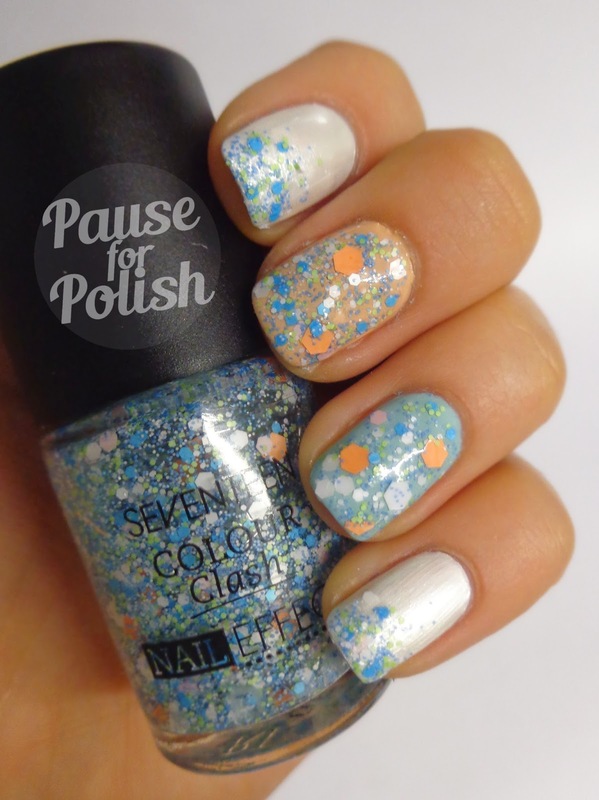 So without further a due, here is some spam of this gorgeous new polish. Shown is two coats, and the pinkie and index finger was dabbed on with a cotton bud. 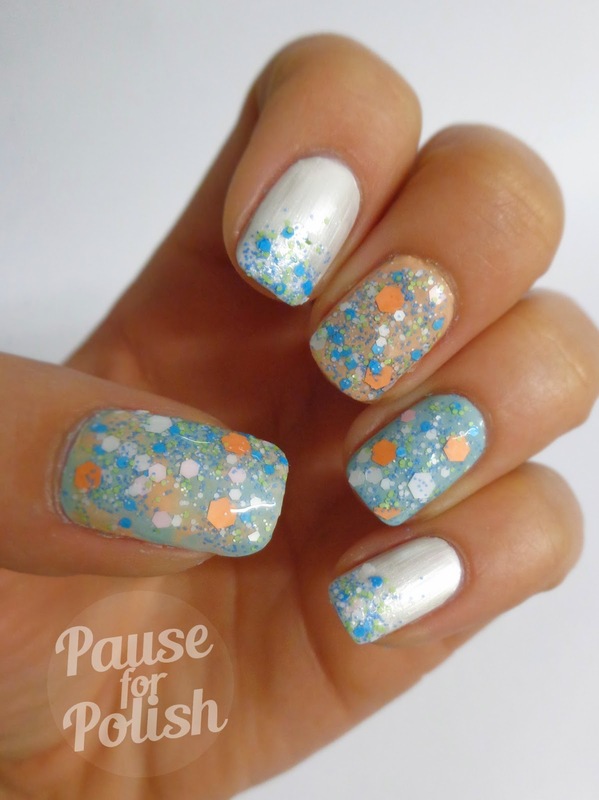 I also created a simpler look by re-using the glitter gradient nails which i'll share with you soon. Application is really easy, the formula isn't gloopy at all. You do have to fish a little if you specifically want a larger glitter but it's not hard to pick one up on the brush. I'm really happy with this purchase, as I don't usually try different looking polish like this. You can pick these up in Boots for £3.99 and all cosmetics are currently 3 for 2. Isn't it just gorgeous? 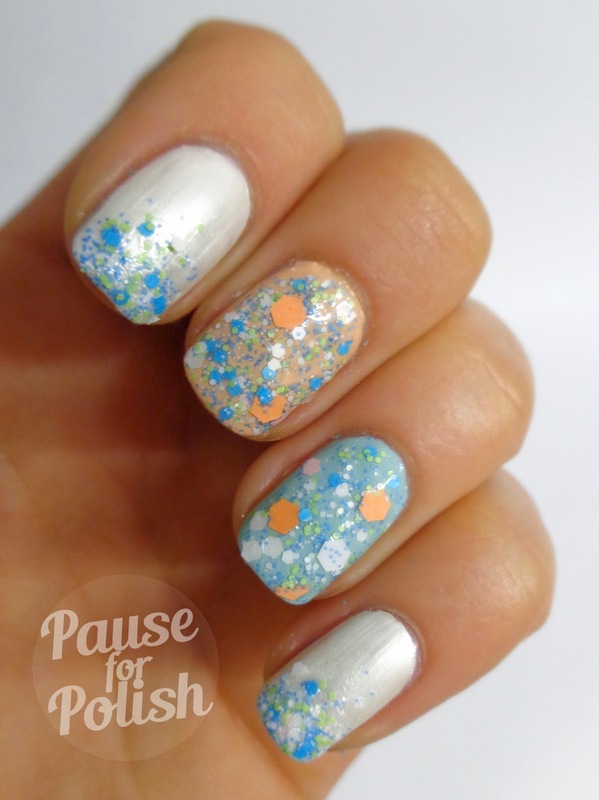 I never thought I would find a glitter with white, green, coral and two blue colours so appealing. And I think the name Tropical Punch just sums it up beautifully. It just screams beach and summer! Just before I wrap this up here's a couple of photos of my nails pre-glitter application, just because i love the combination of blue and coral! Also check out the gorgeous finish of the Sinful Colors - Tokyo Pearl, a bargain at £1.99. So what do you think, will you be running out to buy this?